Only 11 percent of iOS users listen to Apple Music, but 64 percent claim they are very likely to become paid subscribers after the free trial. It’s been almost two months since Apple Music first launched, and aside from boasting that it already has 11 million free subscribers, Apple has not revealed any other hard facts about the shiny, new streaming service. 77 percent of iOS users are aware of Apple Music. How could they not be after a high-profile marketing campaign and a nod of approval from Taylor Swift? 11 percent are currently using Apple Music. That figure is consistent among users who purchase downloads from iTunes, or use iTunes to manage their music library. 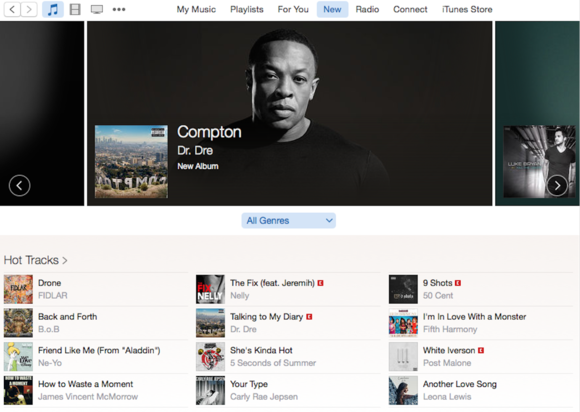 18 percent of iTunes Radio users are now listening to Apple Music. iTunes Radio was Apple’s previous streaming product that was rolled into Apple Music and rebranded to include Beats 1 and other genre stations. 52 percent of users who have tried Apple Music are still tuning in. That means that over half are still hooked on the service almost two months after it first launched. (Update: Apple is contesting this figure, telling The Verge that 79 percent of Apple Music users have actually stuck around and are currently using the service). 28 percent of Spotify paid subscribers also use Apple Music. These can be considered the die-hard streaming fans who try and compare different platforms to see which one most deserves their $10 every month. 11 percent of free Spotify users and 6 percent of free Pandora users are on Apple Music. The low figures here indicate that for most users using free, ad-supported streaming services are satisfied and not willing to pay $10 for anything else—even with Apple Music’s tempting three-month trial. 61 percent of current Apple Music users have already turned off the auto-renewal. Perhaps they just want to subscribe on their own terms. My Music is the most popular Apple Music feature. My Music is one of the features that truly separates Apple Music from competitors. For iOS users with a large curated collection, Apple Music’s built-in iTunes Match for no extra charge is a godsend. 30 percent listen to Beats 1. That figure would probably be higher if Beats 1 didn’t keep crashing. 27 percent use Connect. Pretty impressive considering there is an option to remove it entirely from showing up in the Music app. 33 percent of current Apple Music users were encouraged to start purchasing or purchase more downloads from iTunes. 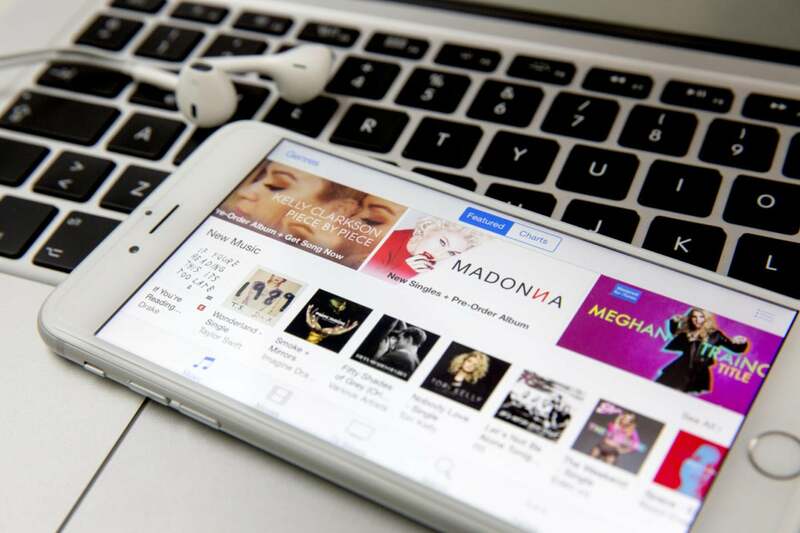 Apple Music users could be turning to iTunes purchases to get access to music that isn’t available to stream on Apple Music. 40 percent of iOS users are still purchasing downloads from iTunes. It seems that Apple Music is not yet cannibalizing iTunes downloads, as was originally anticipated. In fact, Dr. Dre’s latest album, an Apple Music/iTunes exclusive, was streamed 25 million times and it sold 500,000 downloads. Why this matters: Shortly before it launched, Apple Music was touted as a “Spotify killer,” perhaps by Apple’s alleged efforts to squash the competition. But as this survey shows, Apple Music is off to a good start and not necessarily at the expense of other streaming services like Spotify and Pandora. Very few survey respondents claimed to have stopped using their preferred online radio or streaming service because of Apple Music. If Apple Music is to become a successful service, it will be because it managed to lure iOS users who were completely new to streaming. In terms of comparing Apple Music to Apple’s other music offerings, however, the stats show there is still a lot of room for growth. While only 11 percent of iOS users are using Apple Music, 40 percent have made purchases from the iTunes Store. That gap will be more difficult to bridge once Apple Music becomes a paid-only service, with free trials starting to expire September 30. “That’s the disadvantage of not being the first mover in a market where very good services currently exist,” said Russ Crupnick, managing partner of MusicWatch.